Building your dream backyard is not the sole responsibility of a landscaper in Gretna. Property owners like you play a big part in renovating or building your yard. Here at Heroes Lawn and Landscape, we believe that great projects are completed through the collaborative effort of our landscaper in Gretna and clients like you. Before you contact a landscaper in Gretna, you need to list down everything you want to do with your landscape. Do you want a landscaper in Gretna to build a patio? Do your trees need pruning? Do you want to install new plants? Our landscaper in Gretna can work faster at the beginning of a project if your backyard issues are already known. Once these are considered, a draft design for your yard can be created by our landscaper in Gretna. For bigger projects, we can also work closely with your team in designing a master plan. If you have photos of your lawn, you may share them with our landscaper in Gretna to help with the assessment. In case you still have the original plan for your backyard, you may also present it to our landscaper in Gretna. The original plan will come in handy for a renovation or a new project. Inform our landscaper in Gretna about the allotted money for the project. This allows the designer to match your budget with the materials and labor required. In some cases, landscaping jobs can be done gradually in budget-friendly phases. At Heroes Lawn and Landscape, we can customize services to meet budget limits and provide you with a quote to help you allocate your money wisely. Your dream backyard cannot be done overnight. First, you need to set aside enough time to discuss the project with a landscaper in Gretna. It will be difficult for both parties to get all the details if pressed for time. Then, you need to consider the timetable for the project, which may range from a few hours to a day, depending on the size. Consider your backyard under renovation as a construction zone. Think about possible hazards involved in the job site. The working crew of your landscaper in Gretna will have safety protocols in place once the project begins. But unlike your landscaper in Gretna, you and your family members may not be aware of the hazards of a landscaping site. If you have children in the house, tell them to stay away from the yard. For pets that are usually kept outdoors, move them temporarily inside your house or elsewhere while the project is ongoing. You may also coordinate with our landscaper in Gretna regarding safety tips during the project. Once you start the project with a landscaper in Gretna, bear in mind that your neighbors may also be affected. For example, the working crew under your landscaper in Gretna will be parking their trucks on the street, which may bother people living across your property. To prepare your neighbors for the project, it would be considerate to inform them about your plan with the landscaper in Gretna. By being proactive, you also save yourself from possibly receiving complaints. For all of your landscaping needs, contact Heroes Lawn and Landscape. By working closely with clients, our landscaper in Gretna can make your vision come to life. To schedule an appointment with our landscaper in Gretna, visit our website. The patch of land behind or in front of your Gretna home can serve a wide range of purposes. With our help, it can become an extension of your home or a showcase for your ornamental plants. Get a new look for your outdoor area. Turn to Heroes Lawn and Landscape for expert landscape design and maintenance. 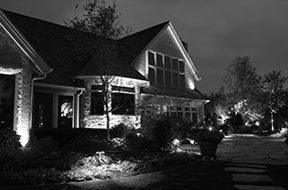 Our team has the skills, experience, and equipment to implement a full-scale landscape design project for residential and commercial clients. We meet with our clients first so we can fully understand their goals. Also, we provide regular updates throughout the course of the project to ensure that our clients and our team are on the same page. Our seasoned installation crew will deftly and efficiently bring your plan to fruition. Afterward, you can opt for our maintenance services to ensure that your landscape’s features look as amazing as the day they were installed. Here are some landscaping ideas: https://www.diynetwork.com/how-to/outdoors/landscaping/front-yard-landscaping-ideas-pictures. Do you have a special occasion coming up? Make sure your home or place of business in Gretna looks beautifully festive with our holiday and event lighting services. Our company uses products that are strong enough to eliminate ice without damaging concrete or vegetation in Gretna. What’s more, during the winter season, we are on call 24 hours a day, seven days a week.